List of Foods High in Acrylamide – Foods that contain acrylamide are very important to know that could have been avoided. 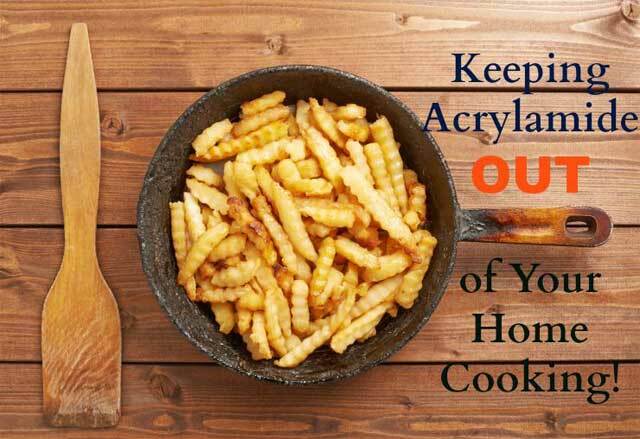 In this post, we will provide a list of 10 foods referred to as the resources of acrylamide. Acrylamide is a chemical compound that causes cancer in mice, and may also cause cancer in humans. For any foods containing acrylamide, we provide a solution for you. However, it should be noted that the food with lower acrylamide given overall nutritional worse than foods high in acrylamide. For example, chocolate milk (low levels of acrylamide) is considered worse in the world of nutrition than dark brown (high acrylamide). OK, that is to say, many factors influence good or bad food. Here we will look at the list of foods high in acrylamide. According to sources FDA that the fries are the foods most top contributor to acrylamide. Even in the American diet quarter of acrylamide is derived from the chips. You should know that leaving fries and switch to grilled or roasted potatoes also contain acrylamide when the roasting process the formation of acrylamide in potato is happening. The alternative is boiling or steaming potatoes. If you want to consume potatoes, the healthiest way is boiling, mashing or steaming. Furthermore, foods high in acrylamide is prune juice. Indeed, prune juice offers health benefits, but unfortunately, prune juice contains lots of acrylamide. Most Westerners are not consuming this juice regularly, thus increasing the acrylamide is not clearly visible. Alternative: Drinking fresh juice, not juice cans. Cereal also includes as foods high in acrylamide. Cereals such as maize cereal and others is a source of acrylamide in the diet of Americans. In fact, it is said that 12% of acrylamide in the diet modern man is derived from the cereal. So eat cereal there is a negative impact because it is a source of acrylamide. Alternative: For those who want to take a diet low in acrylamide should consume foods that apparently not contain acrylamide such as porridge of wheat. Not all bread but many types of bread are included in the list of foods high in acrylamide. Dry biscuits or toast is food containing acrylamide. Alternative: To avoid bread containing acrylamide, when eating bread remove the crust, especially the part that is very dark because acrylamide is formed from it. Roasted peanuts and peanut butter are also rumored as a food containing acrylamide. As we know that most peanut butter made from baked beans then it has also become a significant source of acrylamide. As an alternative for those of you who are looking for nuts that are free of acrylamide is take raw nuts. Raw nuts ensured healthy and free of acrylamide, and also avoid beans that have been salted. The food was included in the list of foods high in acrylamide are canned black olives. This canning olive using the method of pasteurization, where the emergence of acrylamide. An example is California black olives were found to contain acrylamide around 200-2000ng / g. This amount is far higher than acrylamide in other foods, such as french fries that contain acrylamide 100-300ng / g.
However, canned green olives are said to contain acrylamide is much lower. For those who like to eat canned olives, green olives are best alternative. Potato chips are one of the primary food that produces acrylamide in the diet of Americans. Not only potato chips but also other chips such as corn chips. This food is a significant contributor toacrylamide inmodern peopledietary. Alternative: Replace your chips with fresh fruit or fresh vegetables that are cut like chips. For example, carrots and others. Cakes and Crackers are a significant food with acrylamide content. If you bake a cake at home, then you can suppress the amount of acrylamide in your diet. The way is to choose a cake that does not require the high-temperature oven to make it. Note also the surface of the cake, so as not to scorch or discolored. It is impossible for you when you snack outside. Alternative: For those who like to eat cakes or crackers should make the cake at home with a low temperature. Furthermore, the drinks are included in the list of foods high in acrylamide were coffee. It is said that 6% of the content of acrylamide in the diet of Americans is derived from coffee. Alternative: Now is the time you switch from coffee to tea or other herbal beverage. Cocoa is the raw material of chocolate, and it includes foods high in acrylamide. Cocoa bean needs to be burned to release the aroma of chocolate. However, note that during the combustion process cocoa beans, the cocoa beans are generating significant amounts of acrylamide. That’s ten lists of foods high in acrylamide. Hope can be additional info for everyone. Acrylamide is a chemical that causes the appearance of cancer cells in mice. While in humans, the same is potentially occur. So, avoid these ten foods, and replace your habit with alternatives that we have included in any foods containing acrylamide above.